I recently assisted in the management of a patient who presented in DKA with critical acidosis and hypokalemia. This presents a variety of therapeutic challenges: what to do about insulin, which treats the acidemia but worsens the hypokalemia? How can I safely supplement potassium as aggressively as possible? In contrast to the previously-posted recommendations from Micromedex, a protocol from the Bon Secours system in Richmond, VA presents the most clinically useful summary we have come across. 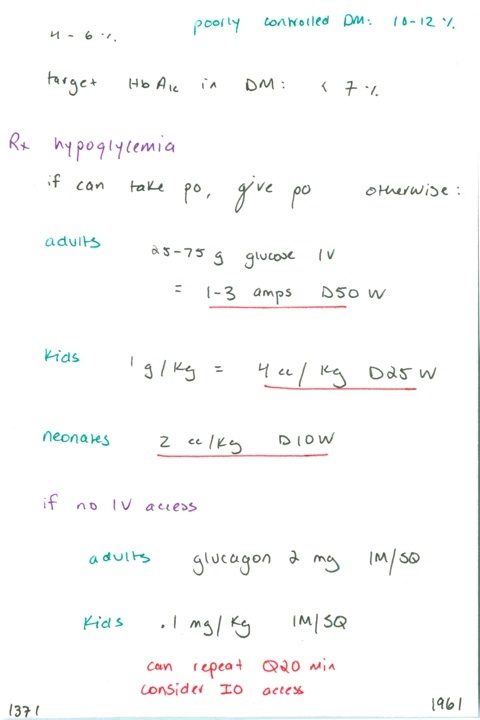 *If potassium < 3 meq/liter and the patient is symptomatic 40 meq/hour may be administered to intensive care patients. Hourly serum potassium determinations should be drawn to avoid severe hyperkalemia and/or cardiac arrest. Symptoms of hypokalemia include: fatigue, malaise, generalized muscle weakness, respiratory failure, paralysis; EKG changes include T wave flattening or inversion, U waves, or ST segment depression, and arrhythmia’s. Additionally, there is literature† to support providing a baseline rate of 40 mEq/hr (through a central line) with hourly supplementation using “runs” of up to 40 mEq (through a central line). 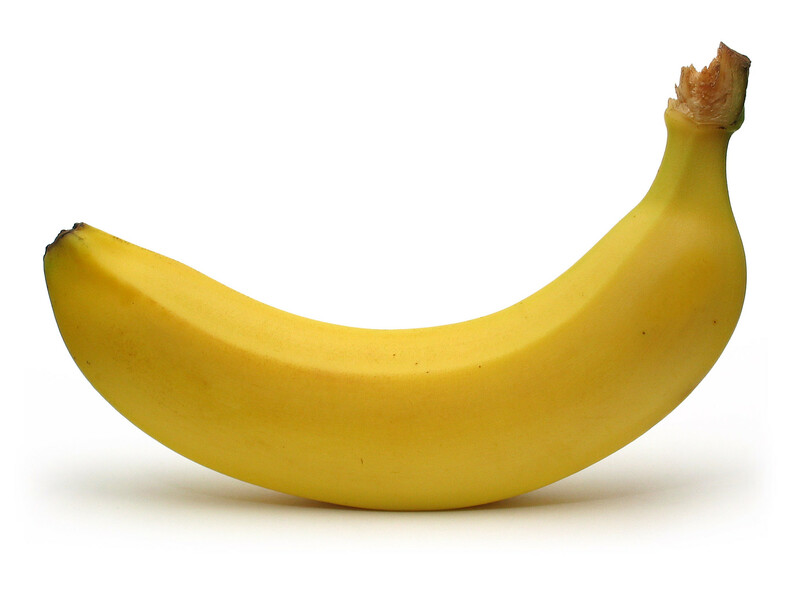 Patients having their potassium replaced this aggressively should be on a monitor and have hourly electrolyte checks. 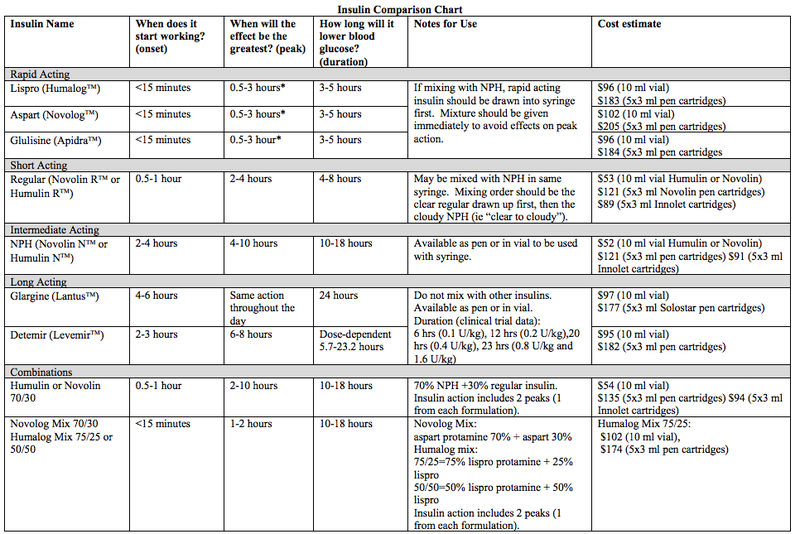 Regarding the benefit/drawback of using insulin in DKA patients, the ADA strongly recommends withholding insulin when K < 3.3. If you want to disregard this recommendation, which I do (seems overly cautious), remember you can slow the insulin infusion rather than stop it. The key is to keep a very close eye on your blood gas/chemistry. †Murthy, K et al. Profound Hypokalemia in Diabetic Ketoacidosis: A Therapeutic Challenge. 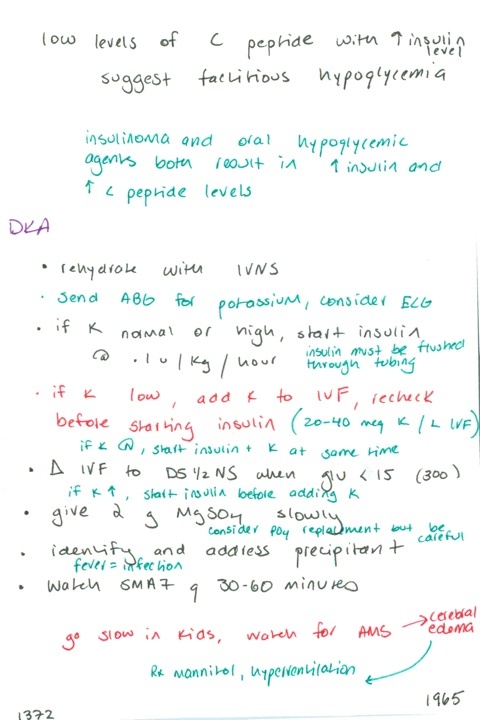 Endocrine Practice. 2005; 11:5 p 331. “Severe hypokalemia is associated with undesirable consequences including cardiac arrhythmias, such as ventricular tachycardia and fibrillation from increased automaticity, and respiratory failure from neuromuscular weakness. In general, the recommended rate of intravenous administration of potassium is 10 to 20 mEq/h in patients with mild to moderate hypokalemia (1,2,16). In our patient, we estimated the minimal total body potassium deficit as 10 mEq/kg or ~680 mEq (weight × maximal observed deficit in the literature of 10 mEq/kg). The potassium deficit was repleted at an initial rate of ~40 mEq/h, with additional supplementation of 10 to 40 mEq each hour based on hourly measurement. A total of 440 mEq of potassium was administered as both potassium chloride (290 mEq) and potassium phosphate (150 mEq) during the first 5.5 hours at our institution, in accordance with the ADA recommendations (1,2). After the first 5.5 hours of aggressive potassium repletion, we decreased the rate to 20 to 30 mEq/h. Typical patients with hypokalemia have required a mean of 5 days for return of their serum potassium levels to normal (12,13). Our patient required a daily supplementation of potassium of 40 to 80 mEq for 8 days to maintain normal levels. Lastly, you may be peeling bananas incorrectly. Thank you to Araceli Gómez Sánchez, Sara Bingel, and Erin Robey, as well as Scott Weingart. The Richmond protocol document is available here. * Recommended maximum rates of potassium infusion vary, although most studies suggest infusions should be 10 to 20 milliequivalents/hour; up to 50 milliequivalents/hour. Frequent biochemical and electrocardiographic monitoring is necessary when rates exceed 10 milliequivalents/hour, and the faster rates should be continued for only short periods of time (Lawson, 1976; Lawson & Henry, 1977; van der Linde et al, 1977; Porter, 1976; Beeson et al, 1979; Schwartz, 1976); (Dipiro et al, 1989). 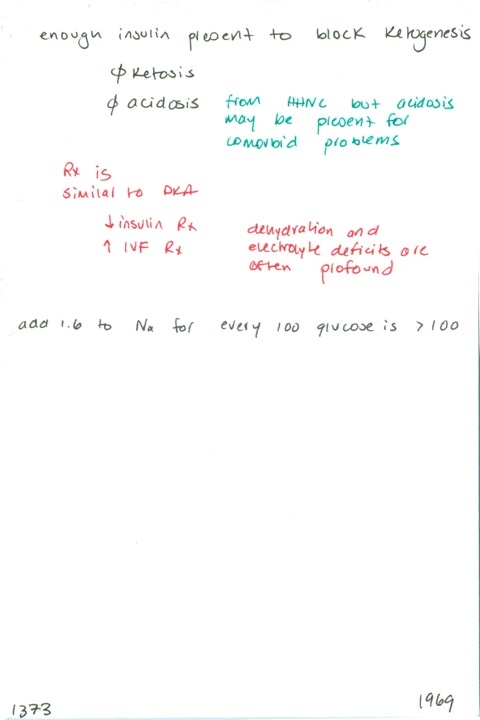 * For use through a peripheral line, most sources recommend 40 milliequivalents/liter as the maximum concentration of potassium in an intravenous infusion (Lawson, 1976; Lindeman, 1976; Gilman et al, 1985a; Lawson & Henry, 1977), though it ranges from 20 to 80 milliequivalents/liter (van der Linde et al, 1977; Porter, 1976; Beeson et al, 1979). For central line, any concentration is allowed. * For moderate hypokalemia (K>2.5): max of 10 mEq/hour in a concentration of up to 40 mEq/liter. The maximum 24-hour total dose is 200 mEq (Prod Info potassium chloride injection, 2004). * For severe hypokalemia (K<2) with electrocardiographic changes and/or muscle paralysis: max rate of up to 40 mEq/hour, not exceeding a total dose of 400 mEq during a 24-hour period. Continuous cardiac monitoring is recommended (Prod Info potassium chloride injection, 2004). * Infusions of potassium chloride 20 milliequivalents/100 milliliters of normal saline administered via the central venous route and the peripheral route over an hour to 1351 intensive care unit patients were relatively safe (Kruse et al, 1990). In addition, similar results were seen in 48 intensive care unit patients (Hamill et al, 1991).